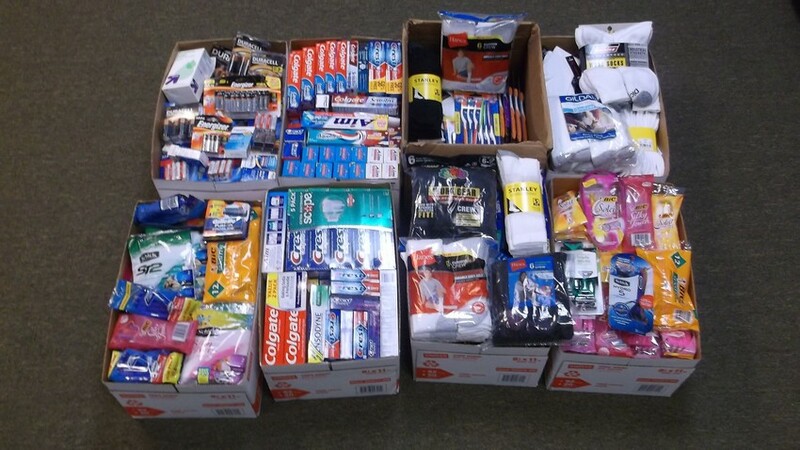 Care Packages for Soldiers: Bank of America Plano employees donate hundreds of care package items! Bank of America Plano employees donate hundreds of care package items! 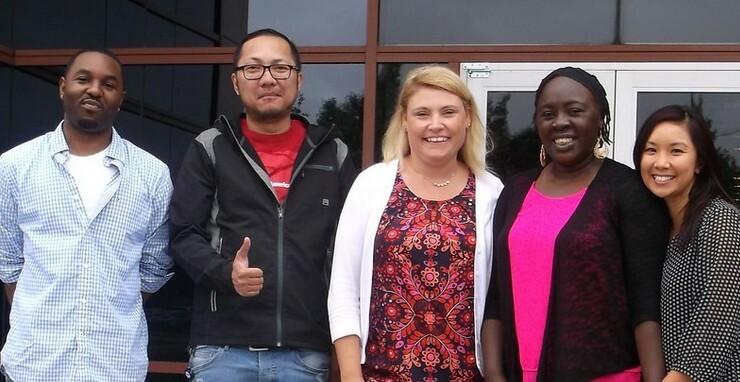 A large team of Bank of America employees in Plano, TX donated about 700 great care packages items for our U.S. military troops deployed overseas. Thank you so much for the Memorial Day collection drive, and your generous donation! The eye drops, batteries, toothpaste, toothbrushes, socks, shaving razors, and many, many other assorted donations will be included in the care packages of the Airborne Angel Cadets of Texas. Most of these donations will be going to U.S. Soldiers, Sailors, Airmen and Marines in Afghanistan, Iraq and throughout the Mideast. 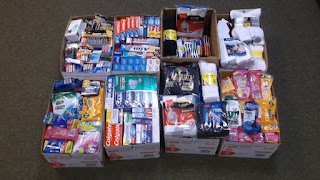 A big thanks to all the Bank of America staff in Plano who provided these valuable donations! Smiling faces of Bank of America employees in Plano, TX. Hundreds of great care package items for our American troops overseas!